If you’ve seen Saheb Biwi Aur Gangster starring Randeep Hooda as the gangster in Part I and Irrfan Khan as the gangster in Part II, the chances of you tolerating Sanjay Dutt as the gangster in the third installment (Saheb Biwi Aur Gangster 3) of Tigmanshu Dhulia’s much-liked franchise are slim. 'He’s the Baba' goes the song introducing Sanjay Dutt in a fancy London club, called House of Lords. Unfortunately that’s just who he remains throughout the film—Baba—his own larger than life self, and is unable to bring any of the magic on the big screen that his predecessors captivated their audiences with. However, Saheb Biwi Aur Gangster 3 is a film that many go solely to find out what the gorgeous and bewitching Mahie Gill (Madhavi) is up to. Who can forget Mahie uttering the unforgettable lines Yeh mard hi kyon milte hain humein, koi shayar kyon nahin milta? Strangely, that famous line, with which the second installment concluded, is missing this time around. In this, she, like the other characters, played by Jimmy Sheirgill (Aditya Pratap Singh) and Soha Ali Khan have aged, albeit gracefully. Mahie isn’t drinking as much as she was in the previous films, and perhaps that’s why we miss the wiles and guiles of a drunken queen. However, she continues to orchestrate palatial conspiracies in her true Rajwada style. Jimmy Sheirgill, as always, doesn’t disappoint and slides easily into his royal role, as soon as he’s out of prison. The scale of this third installment of Saheb Biwi Aur Gangster 3 may definitely be grander but sadly, only the cars have gotten better as Mahie’s black Honda CR-V is now replaced with a black Mercedes. However, neither the music nor the dialogues match the grandness of such a large-scale project. Even the Jugni song doesn’t get any noteworthy lyrics like the second installment did. The only noteworthy dialogues are the ones you’ve seen in the trailer. Even the costumes, barring a few silk and chiffon sarees for both Mahie and Soha and maybe a couple of Jodhpuris, Bandhagalas and pocket squares for Jimmy Sheirgill, nothing stands out. Even Sanjay Dutt’s dinner jackets do not a gangster make. Actors such as Soha Ali Khan, Chitrangada Singh and Nafisa Ali are completely wasted in the film. Kabir Bedi and Deepak Tijori play a small role in moving the story forward. 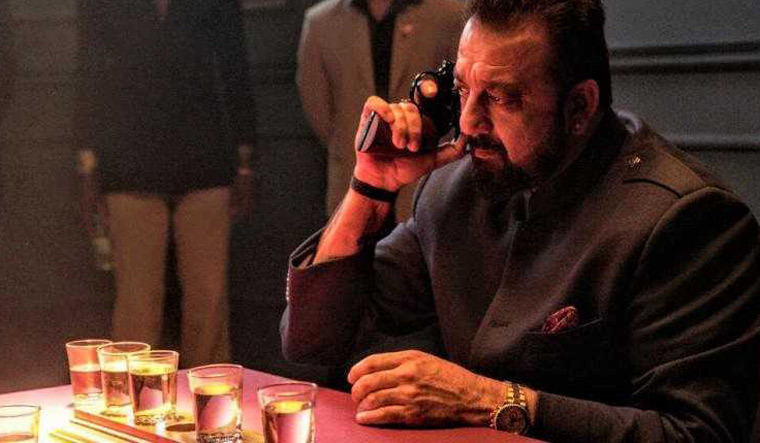 Only a few fleeting glimpses of Mahie’s former self are visible when she’s conversing with Sanjay Dutt but overall, Mahie, like the other lead actors, seems bored and not much really happens at all throughout the film. Maybe it is time for Tigmanshu Dhulia to call it a wrap. Going by the manner in which the film ends, however, it seems like he is in no mood to wrap up this franchise anytime soon. Cast: Kabir Bedi, Nafisa Ali, Sanjay Dutt, Deepak Tijori, Jimmy Sheirgill, Mahie Gill, Soha Ali Khan, Chitrangada Singh, Deepraj Rana.